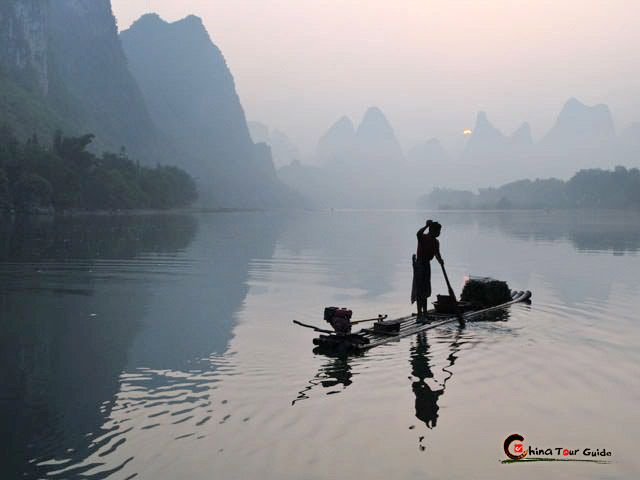 No visit to Yangshuo is complete without a cycling tour of the nearby area. 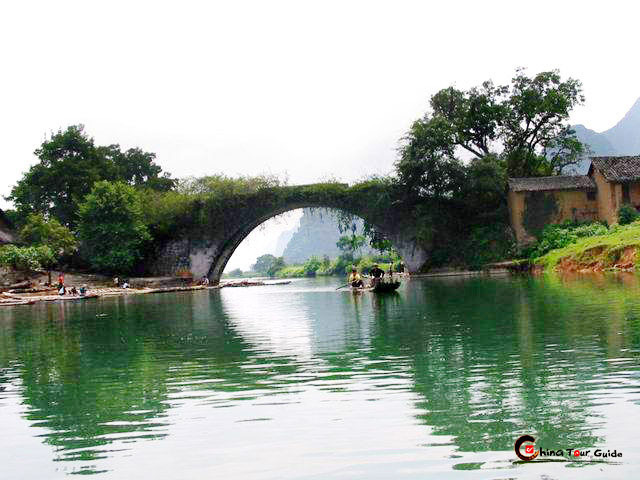 The road condition around Yangshuo makes it an ideal place for moderate cycling excursions. Trails often lead where buses and cars can 't go, taking you right next to the limestone mountains. This is the best way to see the pristine countryside up close and you will be one of the few having the opportunity to discover the ancient hidden villages. There are many inexpensive bicycle rentals in the town (costing only about 1-2 dollars per day). These days motorbikes and electric scooters are also very popular. 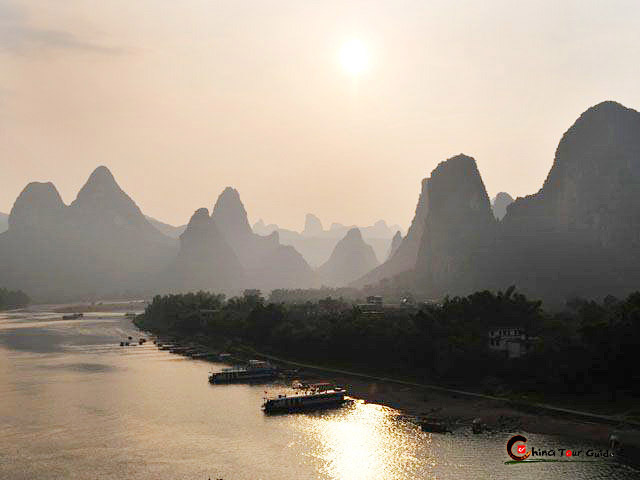 There are many cycling routes around Yangshuo 's countryside. The most popular route is to head out towards Moon Hill on the main road. The whole area is almost level and after 20 minutes of easy cycling you can divert off on a local path and explore the picturesque rural scenery. Along the way, you can visit a big banyan tree, which covers an area of 1000 square meters and has a history of 1,000 years. 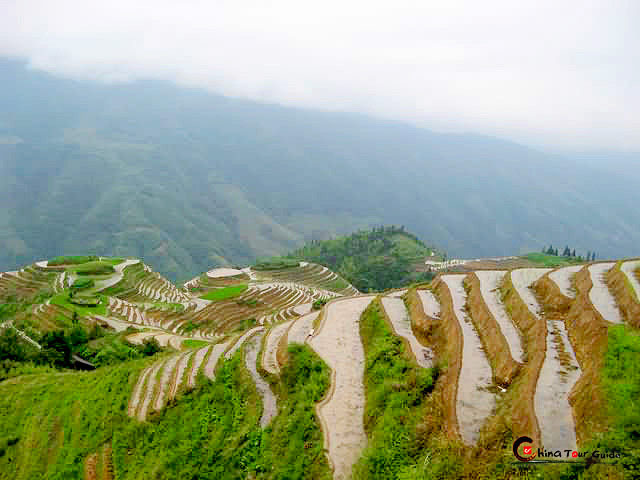 After an hour or two, you will reach Moon Hill. This mountain features a peak with a hole shaped into a half moon. You can park your bikes below with the tour guide standing watch and hike up to walk to the top through the hole. The view from the peak extends across the entire area and is well worth the hike up.